DBS Radio Presents - The role of the media in promoting Cadence music through the Creole Language in the 70s | ComeSeeTv Broadcast Network ... Can you See me Now! 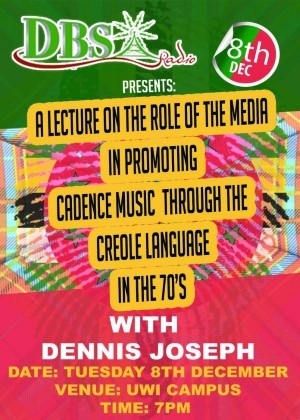 DBS Radio Presents - Lecture on the role of the media in promoting Cadence music through the Creole Language in the 70s with Dennis Joseph. View it on http://listen.dbcradio.net/tv/ through the partnership between DBS Radio and ComeSeeTv!